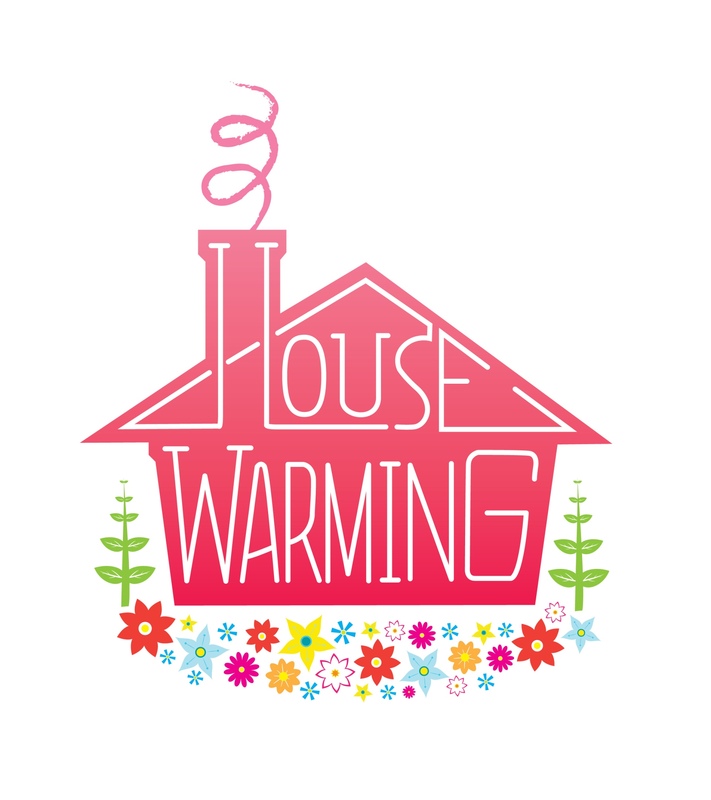 Do you have a housewarming party coming up? We’ve compiled a list of eight modern housewarming gift ideas from Ikea’s latest collections that are sure to please those with a quirky taste! From decorative pieces, candles, clocks and wall décor, you’re bound to find the perfect item at an affordable cost! 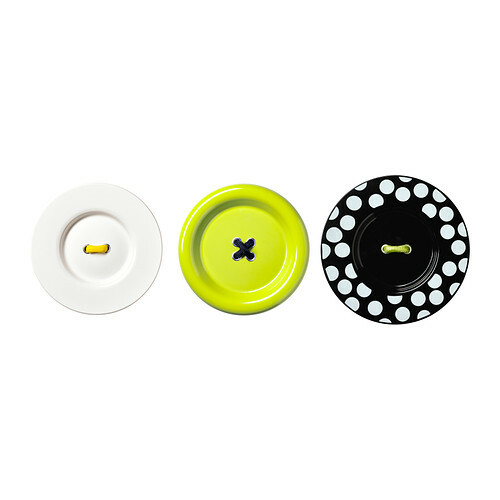 These may look like regular buttons from a far, but in reality they are eye-catching decorative wall pieces for the home or office! 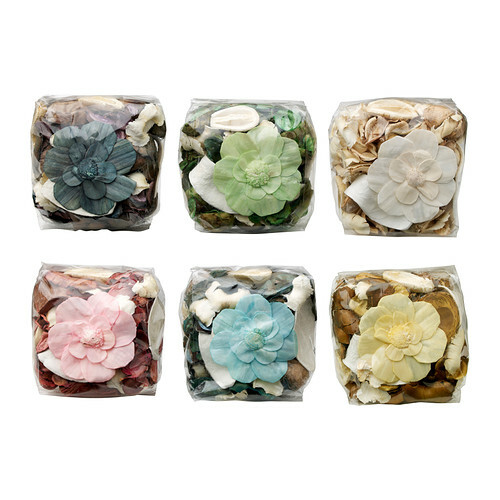 They come in an assortment of different patterns and colors to choose from. 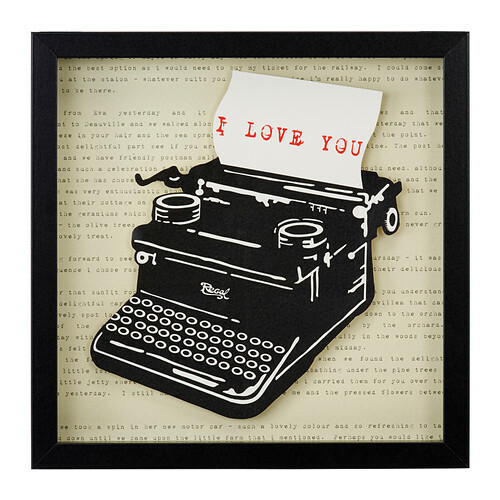 It makes for a great alternative to the usual plates or pictures that are traditionally hung. They also don’t require much maintenance as it can be wiped clean with a damp cloth. 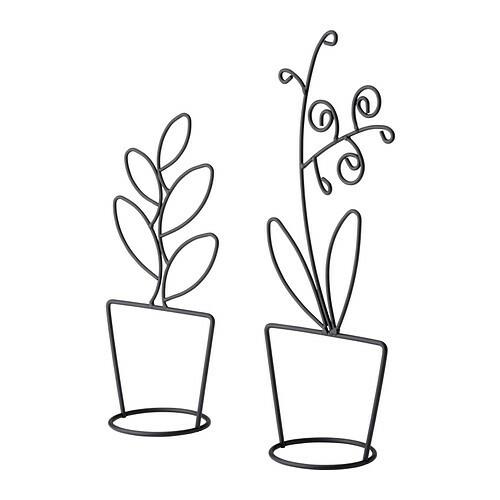 For those who live a busy hectic life, odds are they don’t have time to take care of living plants, let alone the dishes, hence why these flowerpot decorations make for the perfect alternative! 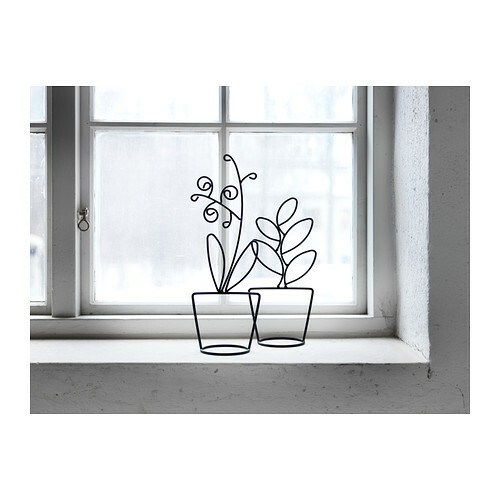 These stylish silhouettes can be placed anywhere in the home such as on a shelf, or near a window! 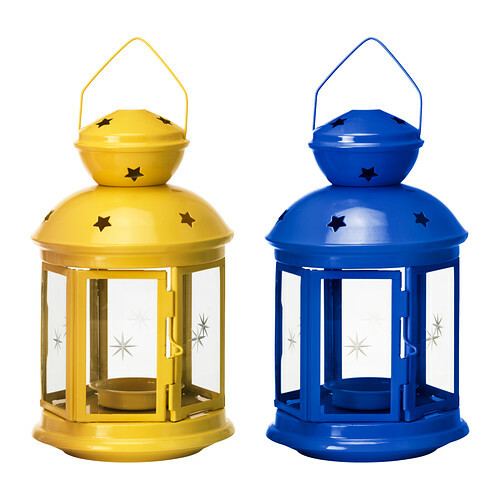 These bold lanterns for tea lights are great for both the indoors and outdoors! 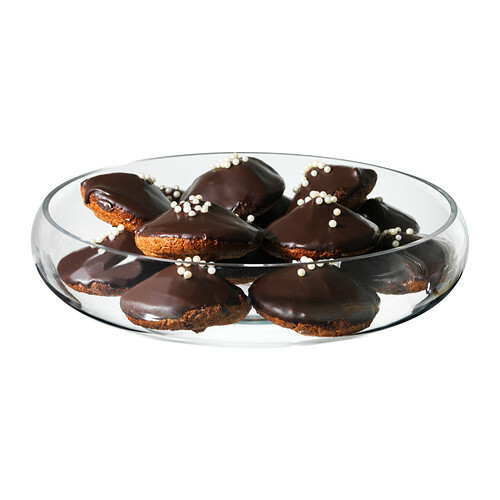 They come in an assortment of colors and are sure to add a vibrant glow to any room. These block candles really make a statement on their own; the bold black color is also suitable for any modern space. 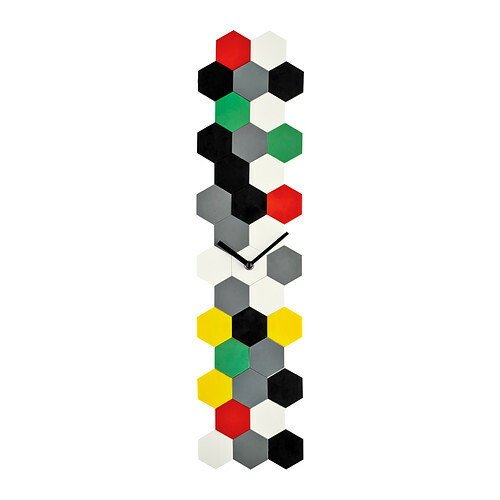 This is not just any ordinary clock, this fun timepiece can be designed as you please. It comes with 28 colored pieces that you can easily build like a puzzle. 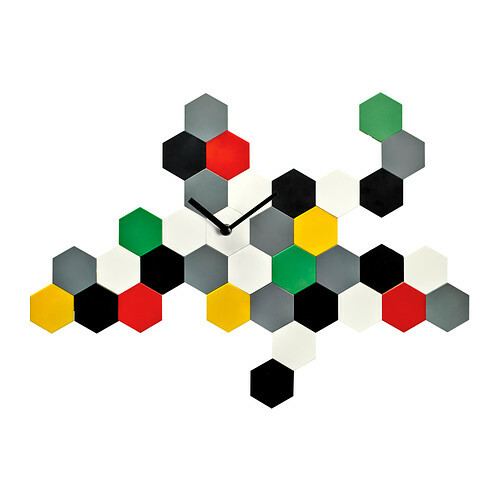 Best part is that if you get tired of the same clock design you can always re-assemble it to look completely different! This picture adds nice depth to any wall, as when mounted from a distance it has dimension. 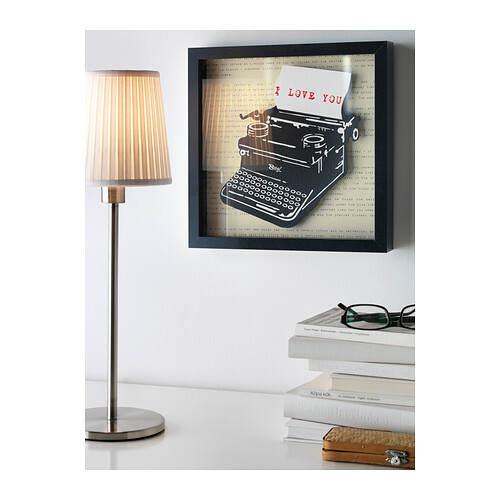 The typewriter image adds a vintage feel to a modern setting. This would be great for a home office! This beautiful assortment of scented potpourri not only adds a great scent to the room, but is also visually appeasing when placed in a clear glass bowl on center or side table. Potpourri can be placed in any room in the home, including the washroom! 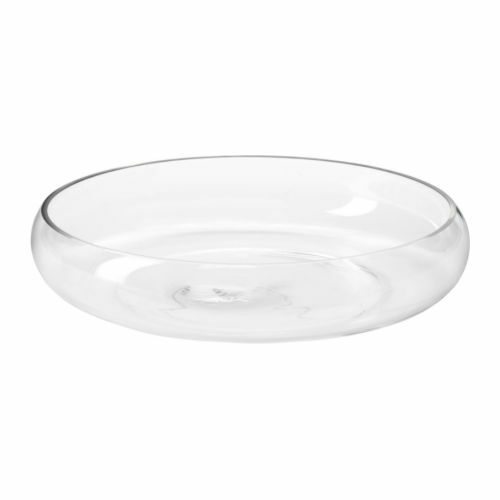 Best of all, the clear glass bowl is multi-purposed as it can be used as a candle holder, or to serve snacks for guests! If you are shopping for someone with a particular taste or don’t know what to get, we suggest you send them an eGift Card! This allows them to select the home décor items they need the most for their new home. We suggest the following stores that carry a good selection of products, from tables, chairs, artwork, garden tools and more! Browse the selection: Galeries Lafayette eGift Card, ACE Hardware eGift Card, O’de Rose eGift Card, Andrew Martin eGift Card, Artsawa eGift Card and Rubabikia eGift Card. This entry was posted in Gifts for her, Gifts for him, Home & Garden and tagged Ikea on April 8, 2014 by Renu Shenoy.